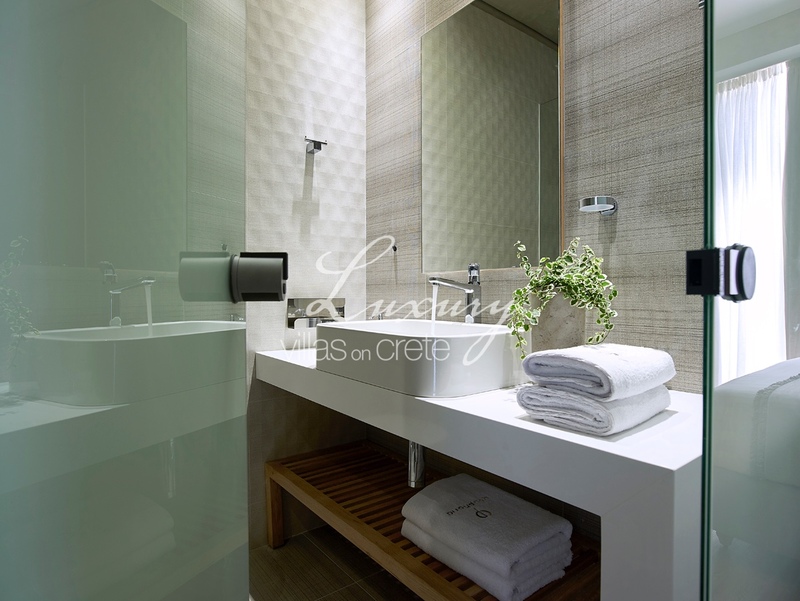 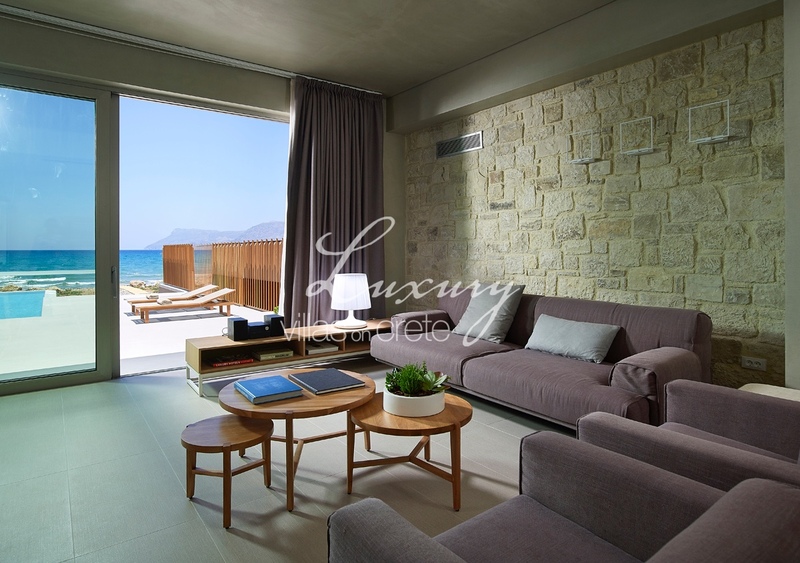 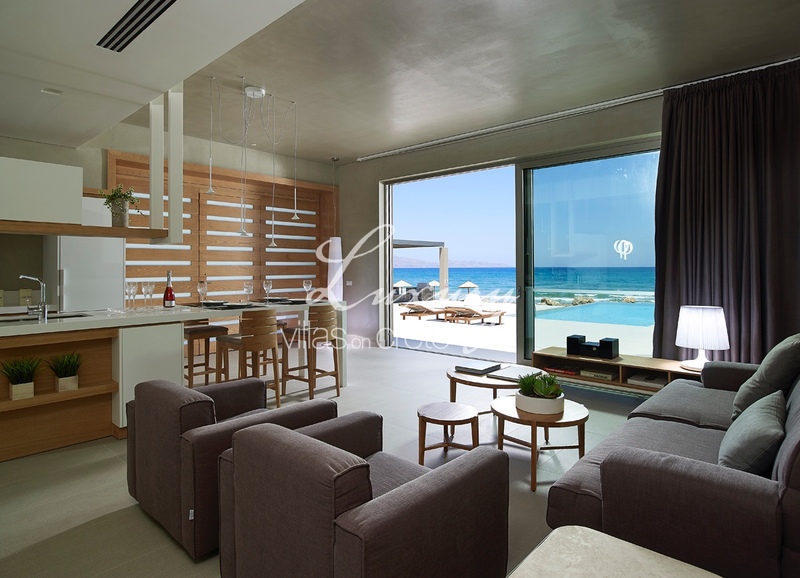 Luxury, peace, tranquillity and a few steps away from the shore and the turquoise waters of the Cretan Sea. 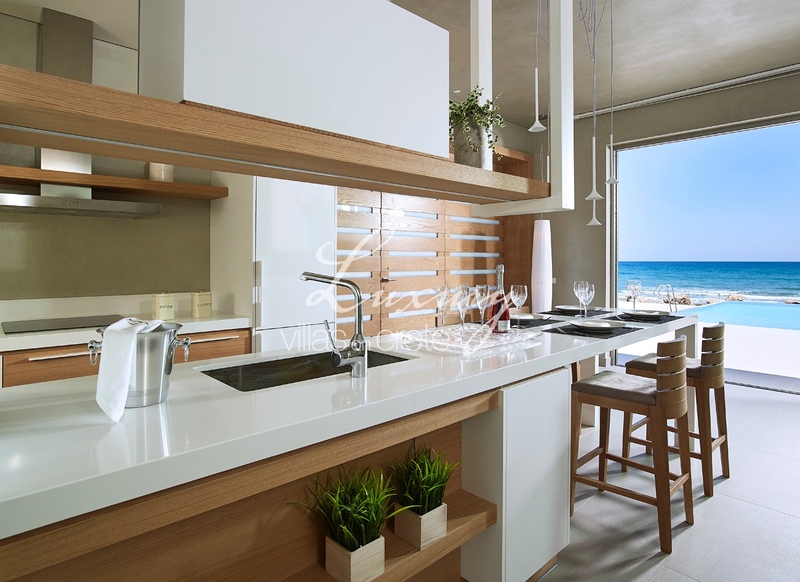 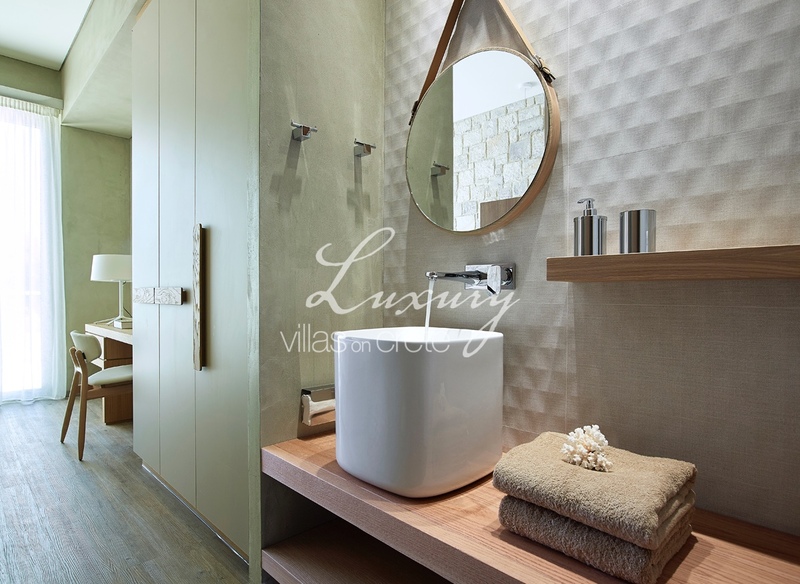 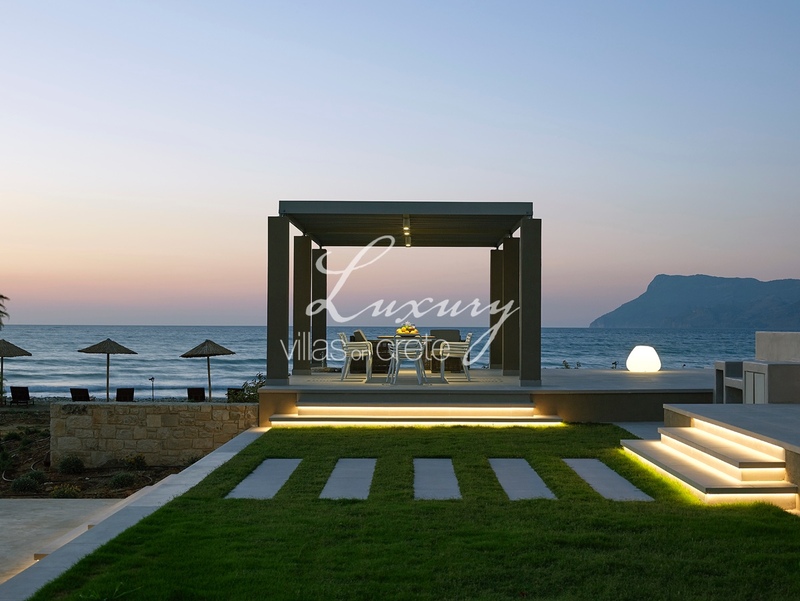 The semi-detached villa, set in landscaped gardens and grassed areas, is part of our two beachfront villas, each with their own style and privacy but connected by internal doors. 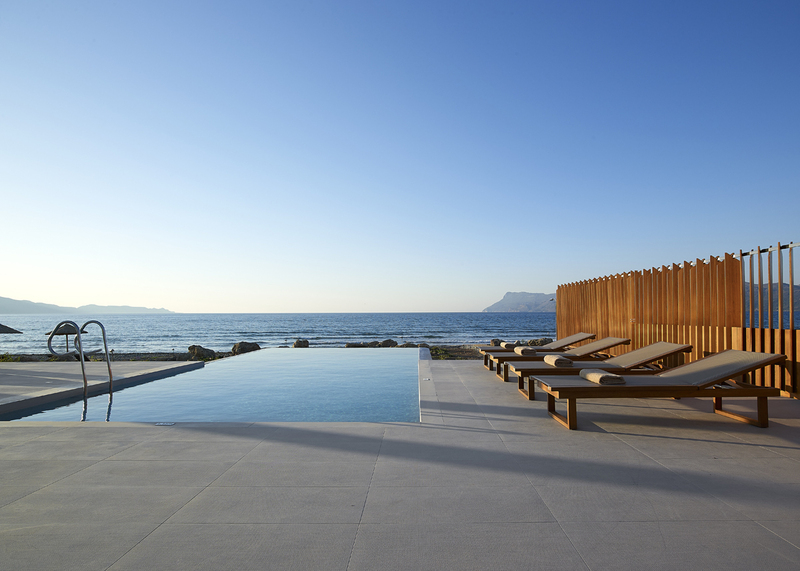 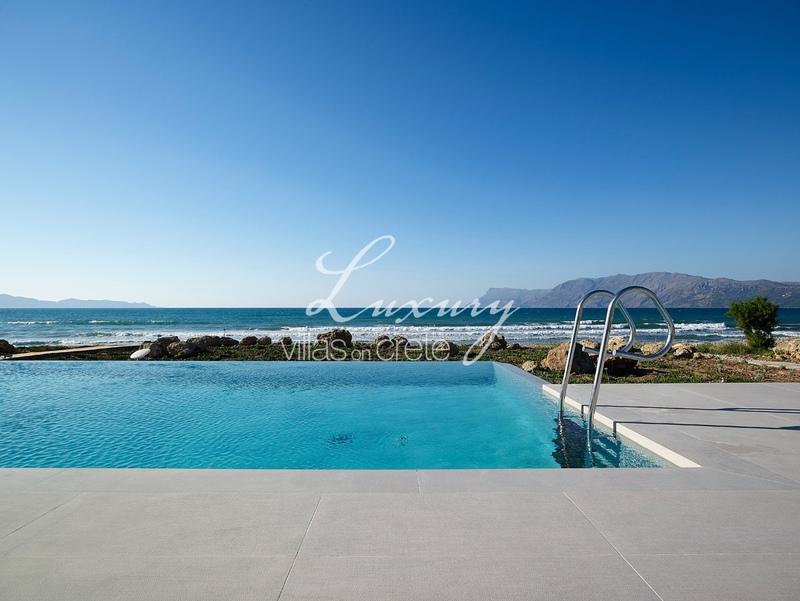 Crafted out of local limestone and blending seamlessly into the shoreline landscape, Villa Ammos offers discreet and stylish accommodation just a few metres from the warm waters of the Aegean. 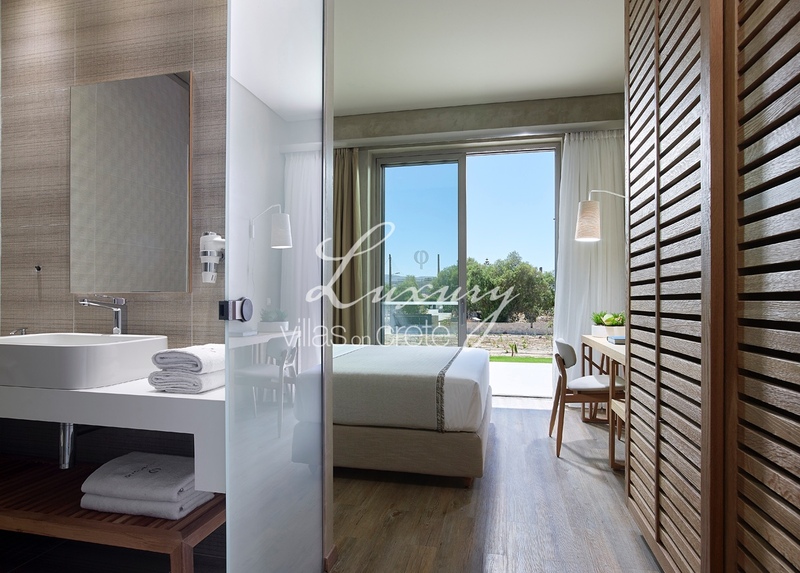 With two lovely bedrooms and its own wondrous infinity pool. 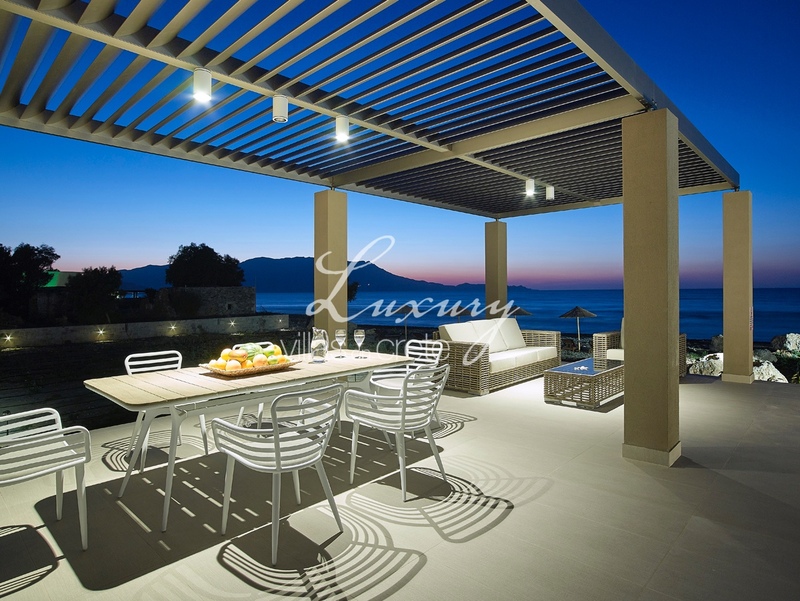 From a terrace, you cross the pebble beach via a boardwalk and dip into the turquoise waters - ideal for snorkelling, bathing, fishing or simply to enjoy the natural wildlife as sandpipers, herons, falcons and other birds hover over the beach.The large outdoor living space with all day sunshine around the pool (10mx5m) includes a pergola and dining table with grass areas suitable for children to play on. 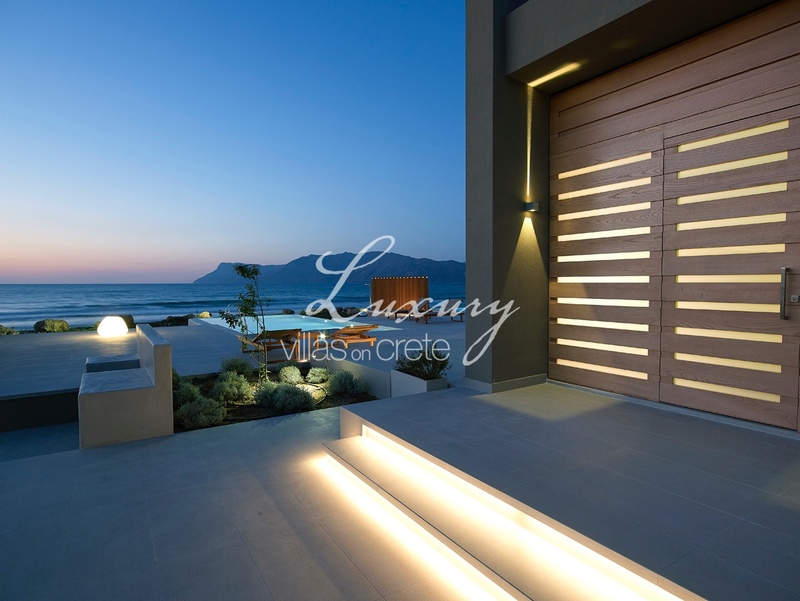 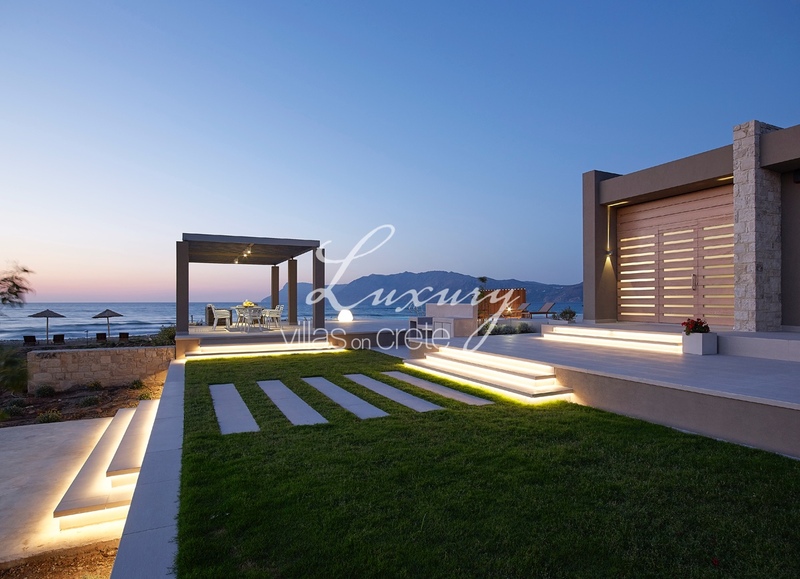 Rocks in front of the villa light up at night, creating a magical shoreline aura as you barbeque and enjoy al fresco dining late into the evening with a glass of Cretan wine on the terrace. 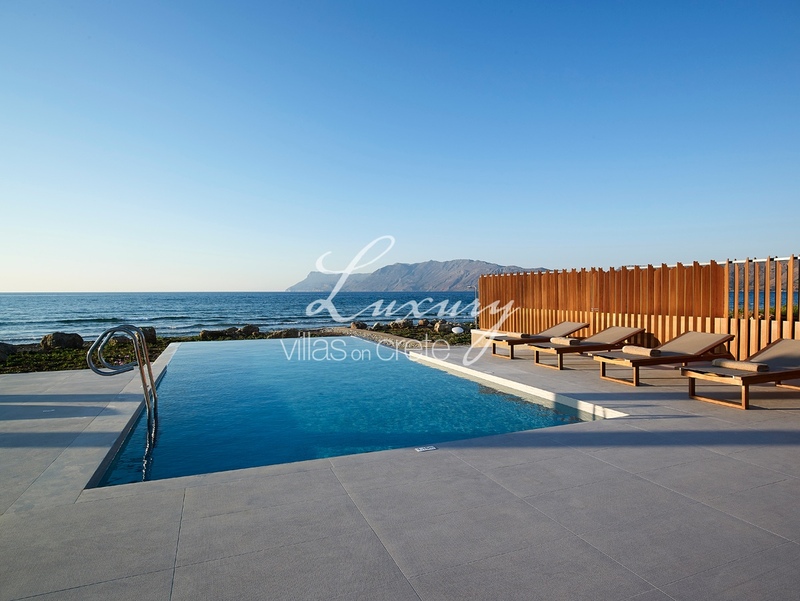 The swimming pool can be heated, making the water about 24°C – 26°C depending on weather conditions with an extra charge of €350/week. 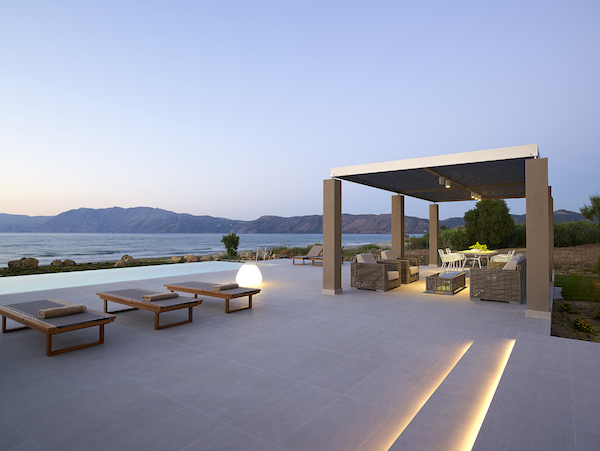 A pool cover can be provided and has to be used to achieve best pool heating effect. 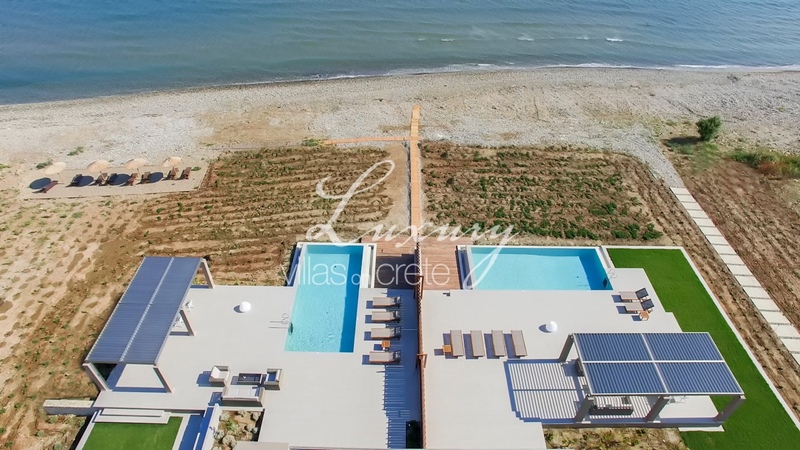 Villa Ammos reflects the true essence of Cretan life and hospitality.